A swimming pool in your backyard is an excellent way to cool off on a hot summer day. Fences can make the area around your backyard oasis more secure, but not just any material will do. According to the experts at Homestead Fence, an aluminum fence is ideal around a pool or hot tub. Here, the go-to fence contractor in Wymore, NE, discusses a few of the benefits. Unattended pools are hazardous, especially for children and animals. An aluminum fence will prevent kids and pets from entering the area without supervision. For extra protection, it should be over four feet high and have a self-closing latch on the gate. 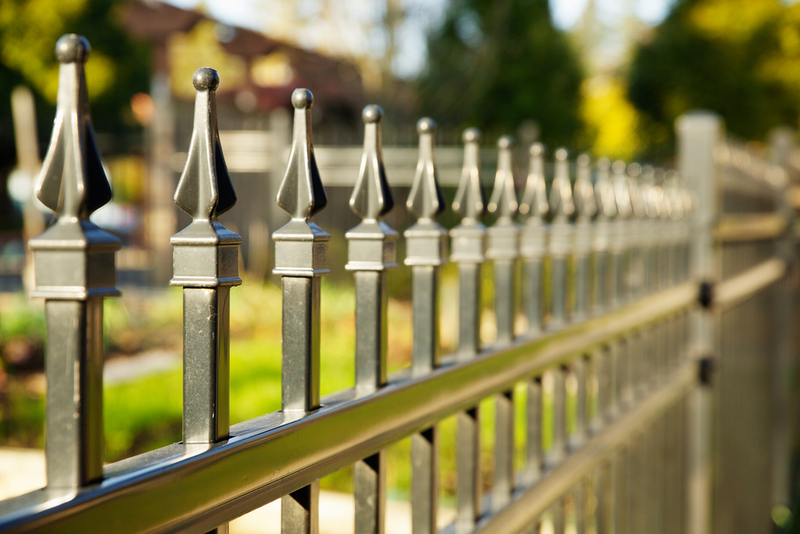 Aluminum fences also protect your property from intruders. Select a design with spikes at the top to make it more difficult to scale. This sturdy barrier will keep outsiders from wandering into your yard to use the pool without permission. Many homeowners love the look of wrought iron fencing, but aluminum lends the same elegant aesthetic at a fraction of the cost. If you’re interested in a sturdy building material that looks great and won’t hurt your pockets, consider aluminum. Another advantage of aluminum is its resistance to rust, which makes it a lower-maintenance material. The metal is treated with a durable, fade-resistant powder paint coating, so you won’t have to worry about refinishing it a few years down the road. Though many homeowners prefer black for their pool fence, aluminum comes in a wide selection of colors. You can choose shades of bronze, white, or even green. It’s an ideal choice for customizing your pool fence to match your existing decor. Keep your swimming pool protected by contacting the professionals at Homestead Fence. These fence installation experts produce beautiful, durable results at affordable prices for clients throughout Jefferson and Gage County. Whether you need an aluminum fence, deck railings, or new gates, they have the right tools and products for the job. Call (402) 645-8054 today or visit their website for more information. How Close Can a Fence Be to Your Property Line?